The back-to-school to-do check list is long. New clothes, new shoes, new backpack, pencils and pens, crayons, markers, notebooks, maybe a pair of sneakers they can grow into and the perfect first-day-of-school outfit. You make sure they get their teeth cleaned and cavities filled, vaccines are updated, medications are renewed, and hair is cut. 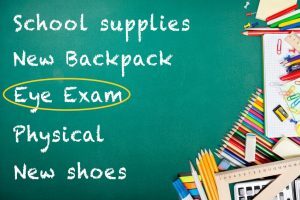 But for some reason, the back-to-school Comprehensive Eye Exam is often ignored or postponed. School is a very visual environment. From playing sports to copying notes from the whiteboard, from drawing in art class to reading textbooks and novels for homework; a child’s visual system is constantly being worked and challenged. As a child grows up and progresses through school, the demand on their sight and eyes increases. We know that 80% of what we learn is done so via the visual system; the process of “visual learning” is complex and includes clear sight (recognition), the ability to understand what we see (comprehension or perception) and the ability to create a memory (retention). Therefore, is it easy to understand why undetected and uncorrected visual problems can lead to difficulties learning and it’s no surprise that roughly 60% of students who do report difficulties in school have undetected and uncorrected visual problems. Unfortunately though, these children are often misdiagnosed with learning disorders causing them years of preventable trouble in school, daily life, and with their self-esteem. 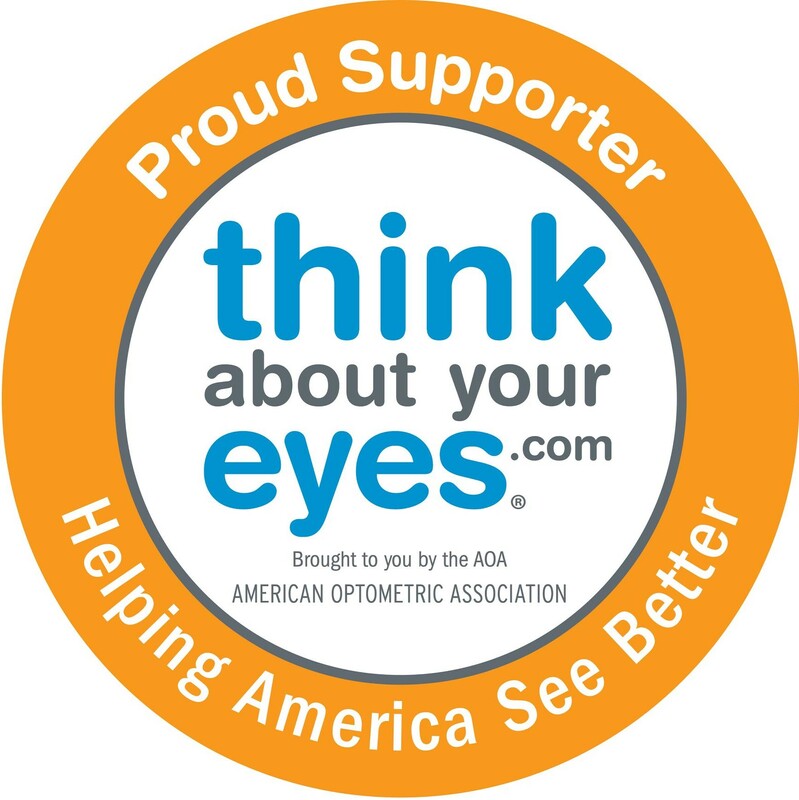 A comprehensive eye exam conducted by your optometrist will not only check for a glasses prescription for far and near working distances; but also check color vision, eye turns or misalignments, depth perception or 3D vision, eye focusing skills and for eye diseases that could affect how your child sees as they grow. The American Optometric Association (AOA) recommends an eye exam at 6 months of age, then again before entering kindergarten. For school-aged children, the AOA advises that kids get seen annually, especially if they wear glasses or contact lenses. Most children do not know that they see poorly because they assume everyone else sees just like them.